I had psoriasis on my hands, arms, legs and most of my torso for about 30 years before trying Soratinex, and now I’m 100 per cent clear. It’s been miraculous for me. I first developed symptoms in my forties. I don’t know why – you never do with psoriasis – but it co-incided with me being prescribed beta blockers for raised blood pressure, and some medics believe exposure to new drugs can sometimes trigger it. But it is in the family, too; my granny had it on her legs. As a physiotherapist, having psoriasis on my hands was awkward and so I had to use cotton gloves all the time, but my colleagues and patients were great, so being happy in work helped a lot. The worst thing about the condition is that you lose self-confidence and no longer feel pretty or attractive. You feel depressed – I stopped wearing shorts and dainty clothes and I thought I’d never feel good about myself again. Over the years, I was treated with steroid creams but they didn’t work. They just made my skin thinner and thinner, and all the while I had this terrible, constant itching. Then last year , my husband, Peter, read about Soratinex in The Times and I decided to give it a try. The first thing that appealed to me was that the ingredients are from Mother Earth – I had grown afraid of steroids so having something that did not contain them was such a relief. It was so easy and pleasant to apply, and I wasn’t constantly worried that I was putting too much on, the way I was with steroid creams. And it was just brilliant – I noticed huge improvements within the first two weeks. When I was using steroids, I was afraid to go out into the sun, but last summer I sat out in the garden and enjoyed it for the first time in years. Peter, my son and daughter and their children have all noticed a difference in me. Now I am 100 per cent clear and all the itching and discomfort have stopped. Ageing as a woman is difficult at the best of times, even without psoriasis, so growing older with the condition was awful. But now I am completely clear, so much happier – and I feel much prettier in myself! I'm 67, retired and enjoying a more active life, made all the better from using Soratinex. In 1968 while recovering from the removal of my appendix, I developed a condition that turned out to be plaque psoriasis, initially on the elbows and knees and over time it spread to my scalp, bottom/backside. In the early years my treatments consisted of coal-tar shampoos and zinc-based ointments. Later to Betnovate and various other steroids which kept things under control and manageable most of the time. Over the years as things developed I have had various other treatments including Cyclosporin tablets during a bad outbreak, various homeopathic treatments, Dovonex, Elcon ointments, and laterally UVB light treatment, and more recently Dovobet, all of which made life easier, but has never cleared my psoriasis. A combination of sun and sea holidays spent at the beach always helped in clearing up the plaques, but in most cases my psoriasis would return. Over the last few years my skin condition deteriorated and no longer responded to any of the usual treatments available - that was until last February 2018 when I read an article in one of the national papers about a woman with long-term psoriasis who had successfully treated it using a new ‘cosmetic’ treatment called Soratinex. Having tried many of the so called ‘miracle’ treatments over the years I was sceptical about purchasing Soratinex, but decided that although it may not work for me I should at least give it a try. Using the three-pack treatment initially for a couple of weeks, I could see a difference and my skin looked less red or itchy. I continued to apply day and night for a further two weeks and I could see an amazing difference. Another four weeks and I was all but cleared. ‘I had psoriasis for 18 years on my arms, chest, back and knees. In 2017 I was accepted as the last patient for UK trials of Soratinex conducted by Professor Anthony Chu [former Senior Consultant in Dermatology at Imperial Healthcare Trust, Hammersmith and Ealing Hospitals]. ‘I went along but didn’t hold out much hope. At the time, my psoriasis covered about 25 per cent of my body when it flared up. I found it frustrating and upsetting. I’m quite a confident chap and I learned long ago about the importance of inner strength and self-belief so I wasn’t overly-dominated by my condition or what other people think of it. ‘However, I used to love swimming but I stopped about two years earlier when I became self-conscious of people looking at me. I’d also given up on finding a partner because I simply couldn’t imagine getting into intimate situations with the way I was feeling about my body. ‘I heard about the Soratinex trial from a friend went along and when I was told it involved another cream – as well as an oil and gel – I thought, “Oh, here we go again”. But I used the treatment twice a day as instructed and within days I was seeing an improvement. ‘It is quite a powerful thing to watch something quickly clear up that you pretty much felt was irreversible. The cream is wonderful and it smells great; so is the oil – you almost feel you could eat it! Within a couple of days my red patches were starting to clear up and then I began to see other patches below them, which were areas of normal skin. ‘Then it became less inflamed – that is something psoriasis sufferers will find very important – and my skin calmed right down. It is continuing to improve and I’m seeing clear, good skin. There is about a 70 per cent improvement and obviously I’m hoping it goes to 100 per cent. ‘I have now been clear for more than a year, and that is the phenomenal thing about this. People with psoriasis sometimes find treatments that work for a while, but the problem always comes back after a short time. 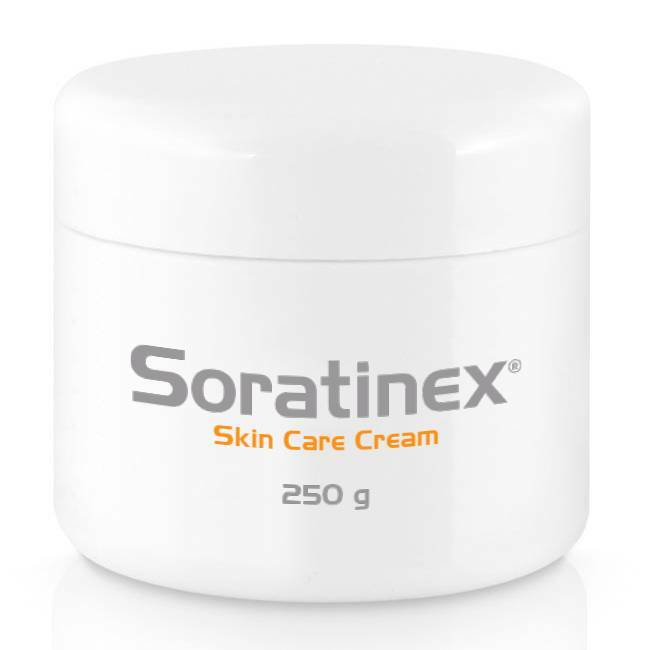 I don’t even have to use Soratinex every day – I only use it occasionally now and yet I remain clear. ‘I’m feeling so much happier and confident about myself. I am in a relationship with a wonderful woman called Jacky.There had been a time when I worried I would never be confident enough to meet someone, but here I am. ‘I developed psoriasis eight years ago during the last months of my wife, Alma's, life. ‘She had been suffering from multiple sclerosis for a long time and towards the end she contracted pneumonia, her second bout, and it was like an emotional rollercoaster for three months – my three sons and I would be told she wouldn’t last the day, then she would recover, then fall ill again. ‘I was with her one day and she was livelier and talking about coming out of hospital. I went home feeling much happier but then I got a call at 2am to say she had died. She was 68. ‘My GP prescribed several creams and treatments, including one containing steroids, but nothing seemed to work. I began to reconcile myself to the idea that it would be with me for the rest of my life. Like grief, it never goes away but you get used to it. ‘Then I read about Soratinex while on holiday and decided to try it. I’ve been using it twice a day for a couple of months. In several places my psoriasis has almost completely gone, in others it has reduced by about 70 per cent and it is gradually improving all the time. It is being a little stubborn on my scalp, but even the persistent patch on my stomach is going away. ‘I developed psoriasis when I retired from teaching around 10 years ago. I had just been divorced and I think the stress of that was the trigger. ‘At first, it was itchy and I put it down to an allergic reaction to skin products. Then I developed red scaly skin which spread in patches on my elbows and legs. It was three years before I was diagnosed with psoriasis and I found it all very depressing. ‘I tried all the steroid creams but they never worked for long. I stopped wearing skirts and built up a wardrobe of trousers instead. I would go to the gym, but it was always a case of keeping the elbows tucked in to my side. I have an annual weekend away with my friends and that usually includes a spa, swim and sauna, but the swim was out. I just wouldn’t go into the pool. 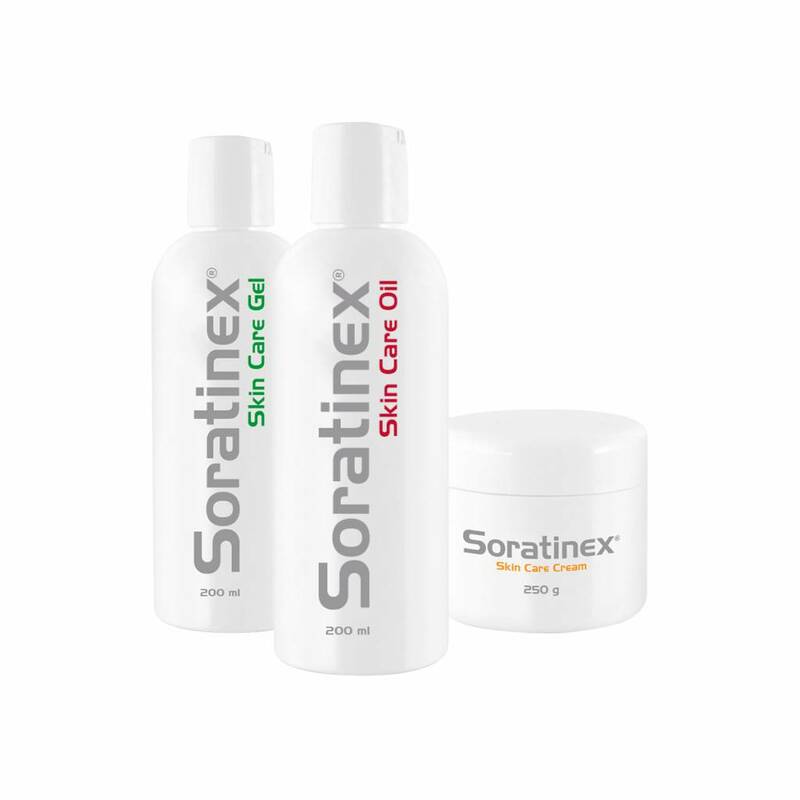 ‘Then my daughter, Catriona, did some research on Soratinex and suggested I give it a go. I saw a huge improvement within weeks and just went down to the gym and flaunted the top half, my elbows. My friends couldn’t believe it. ‘And then this year for the girls’ weekend, I was back in the pool. They said I looked brilliant; they couldn’t believe it. I feel so much better about myself and so much more confident. My elbows and legs have now been completely clear for about seven months and just keep the symptoms at bay with Soratinex cream. Jean Knights, 67, a psychotherapist from Guildford, Surrey. I had psoriasis from the age of seven – that’s 60 years – before my sister read an article about Soratinex and suggested I give it a try. It first appeared when I was sent to boarding school in Johannesburg and from that time forwards it became a part of my life. As a child I had it on my scalp, elbows and knees then as an adult it spread to other areas of my body. In my late teens I was hospitalised in a desperate attempt to eradicate it. The treatment consisted of being covered with a coal tar mixture and then wrapped in bandages. My boyfriend at the time tried to visit me and was most hurt when I wouldn’t let him see me in this state. One of the big side effects of having such a visible skin condition is shame and embarrassment. We moved around the world a great deal and by the time I was in my thirties I had lived in 18 countries. I had also tried all sorts of different gunges, potions, unguents, vitamin A and D analogues. I’ve fasted, I’ve juiced, I’ve dieted and eliminated food groups. I’ve had allergy testing, I’ve washed in sulphur baths, I’ve sat in the sun. It’s been like a full-time job. When I lived in Singapore I had a dermatologist who gave me injections directly into my scalp. He also created a concoction with a multitude of ingredients that was yellow and smelly, (delightful!). It actually worked to move the psoriasis off my scalp, and also off my elbows and knees on a temporary basis. It eventually stopped working altogether. Psychologically, emotionally, biologically…psoriasis can affect you on all these levels. It is a highly stressful condition to live with, and I know that for some people they have been driven to suicidal despair. I feel very fortunate that my husband was so accepting and supportive and often applied the potions to my body. Apart from shame, psoriasis created in me a sense of otherness, of alienation, especially as a young person. People thought it was contagious and tended to regard me with wariness. I often felt like a freak. The fact that it’s an auto-immune illness is not something that people really take into account. If they did then perhaps there would be more understanding and compassion. My older sister is always on the lookout for anything about psoriasis and she sent me an article about Soratinex last year. I had become so cynical. I think that most of the things I’ve tried over the years have been snake oil. But I said to myself, ‘Jean, don’t be so sceptical, give this one a go’ and I am so glad I did. My legs were 97 per cent clear of plaques after five weeks. My arms are now 95 per cent clear. I had had psoriasis on my face for the previous five years, which was very distressing, but that has gone and the skin on my face looks great, a benefit of all the care and attention it has received?! My scalp is completely clear. It can start to creep back a little, especially on elbows and torso, but I then re-zap it with Soratinex and it does the trick. It has now been 10 months since I started the protocol and I can honestly say that it has been transformative. In my profession I have had to do a great deal of soul searching and emotional exploration so was already a pretty self-accepting and self-aware person. However not having psoriasis has taken this to another level. There is an expanded feeling of freedom and delight. I am truly grateful to the company that makes this product, and am often moved to tears by the fact that it has worked for me! Mrs Brockie, a former shop worker, developed psoriasis four years ago during a period of stress when her husband, Tom, was ill. She had it under a breast and on both legs, meaning she always wore long skirts or trousers and suffered from a lack of confidence. Her doctor had her on a variety steroids, none of which was very effective. Then she heard about Soratinex from the Daily Mail and decided to give it a go. ‘I noticed improvements within two weeks,’ she says. ‘It had been terribly itchy and I was scratching it all the time. 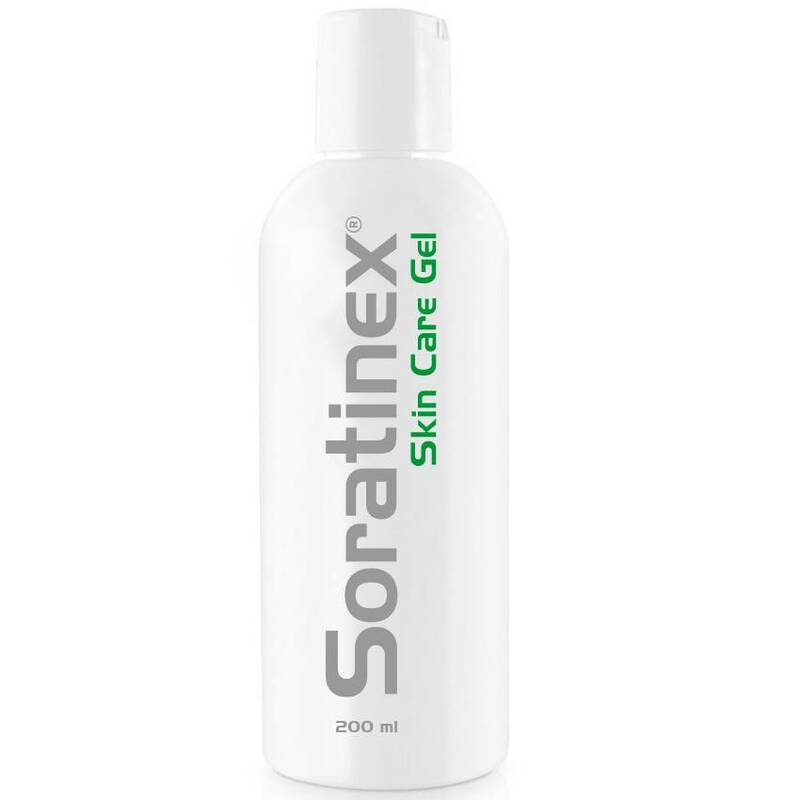 But from the first time I used Soratinex, the itching stopped and then my skin began to improve day by day. My psoriasis arrived from nowhere – there was no family history of the condition and no reason why it should turn up, but it just appeared. That was about 20 years ago and it has persistently affected my knees, elbows and trunk. Over the years I’ve tried everthing to clear it up – Dovabet, Dovonex, salicylic acid, coal tar, UVB treatment, homeopathic remedies – but nothing worked. I never had much of an issue with my scalp, but then it appeared there and I had to use coal tar shampoo. Dithrocream helped for a while, but that stained the bedsheets. Permanently. I hated all the sideways glances from people if you went into the swimming pool. If I got into a jacuzzi you could just see people thinking ‘Bits are falling off that guy!’ You try not to let it affect your life, but you can’t help it. I sail a dinghy and spend half of my life on my knees and it hurts like hell – the psoriasis plaques split and by the time I’ve finished, there is quite often blood in the bottom of the boat. Then I read about Soratinex in the health pages of The Times and thought ‘Nothing ventured, nothing gained’. At first I got a slight burning sensation because I might have put on too much gel, so I left it for a couple of days but I saw an improvement anyway. Then I applied the gel, cream and oil carefully and within days I began to see a real improvement. I began to notice the plaques shrinking and the clear skin below appearing. I had a big patch on my trunk and right hip – about 15cm by 6cm – and very soon all that was left of it was a slight ring at the edges. My elbows and knees have cleared up and I would say I am now 90 per cent clear and getting clearer. It Is an absolutely brilliant result for me. This stuff is amazing. Spring and summer are on their way and I can’t wait to get back in my dinghy on my new knees, knowing I won’t have to put up with all that pain. I can’t recommend this treatment highly enough. Dean Tootell, 30, from Colchester, Essex with wife Kristen. After serving nine years in 7th Parachute Regiment Royal Horse Artillery as a bombardier, I was given a medical discharge from the army last year due to psoriatic arthritis as I was unable to perform to the high standards that were required of Airborne forces. 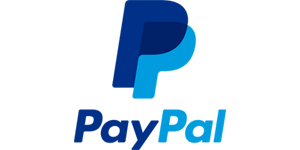 Since 2014, I have been receiving treatment for psoriatic arthritis and plaque psoriasis which have included Methotrexate, Sulfasalazine, steroid injections and Dovobet. Out of all the treatments I have received, the steroid injections and Dovobet were the only ones to provide short term relief, but they are not solutions for the long run due to the steroid element within the treatments. I believe the next step will be biologics, so we will see how that goes. In the meantime, I heard about some trials last year of a treatment for plaque psoriasis which I was keen to take part in and seeing as I suffer from that too, I applied to take part. The trials were for Soratinex and they were conducted by Professor Antony Chu in London. I began the trial but had to drop out as I wasn’t able to attend all the assessments, so I am not included in the results. I had psoriasis around my belly button, my right calf and some minor areas on my scalp, ears and round the eyes. Even though I couldn’t finish the trial, I did complete the course of treatment and it was fantastic. My plaques disappeared and I have stayed clear for around about a full year. Only now is it reappearing in a very small way and so I have ordered some more of the treatment to take care of it again. I have never worried too much about the plaques – I just try to get on with things. But before I started using Soratinex I did find it had stopped me from wanting to take my three children to the swimming pool - they are 11, four and two - as I would be spending a lot of time in the shallow end with my two youngest and my patches are easily seen. Nobody made a direct comment to me about my psoriasis but I have seen people taking a look and talking among themselves which can be awkward at times. But I can totally understand as public awareness about psoriasis isn't so great and some may worry it could be contagious. It’s not their fault; it’s just one of those things. After my treatment in 2017 I don’t have to worry about that now. We’re back in the pool and I’m enjoying being clear. After my experience of the treatment, I would highly recommend Soratinex to anyone with plaque psoriasis. Martin Smith, a 57 year old company director, from Glastonbury. My psoriasis started when I was 13 years old, which means I have had it for 44 years. I was a very active sportsman when I was in my teens, but that all finished when my psoriasis appeared. After playing sports at school, we were all made to have a shower, and you can imagine the teasing I had from supposed friends when they saw my psoriasis. There ended my sporting life. My confidence took a huge knock - if my friends were teasing me, what would other people be saying? I used to go to the local swimming pool, but I was asked to leave the pool as the attendant thought I had a disease. You can imagine how that makes you feel. My psoriasis definitely shaped my teenage and early twenties, but not in a good way. I rarely went out and had few friends. It was so bad I even had a month stay at the Bath Royal United Hospital in the Dermatology Department. I was literally covered from head to toe. Over many years I tried numerous creams - the list is endless - and remedies such as reiki and acupuncture. Some worked a little but it always came back. The only thing that helped was the sun, but them again I was always reluctant to expose my skin, due to the embarrassment. Anyway to cut a long story short, my wonderful wife, who was always on the lookout for any new products on the market which might be able to help, was reading a national newspaper and spotted an item on Soratinex. I thought, ‘Not another cream’, I had tried so many over the years and I thought this would be like all the rest. However, she persuaded me to purchase some. I started applying it to the letter, twice a day as instructed. For the first couple of weeks I couldn’t see any improvement, then gradually my skin started to shed the plaques and I could definitely start to see an improvement. I kept putting on the gel, cream and oil as instructed and every day I could see an improvement. I was starting to get very excited and I kept asking my wife every day if she could see any improvement - I was like a child. I can now say that from having psoriasis on my knees, elbows, scalp, legs, groin, arm pits and worse of all my bottom, I have no signs of any psoriasis at all. Maybe just a small outline on my bottom where there was a large plaque. I have been waiting for over 40 years for this product to come along. I have so much more confidence in my myself. I recently went on holiday and I was so confident walking around in just my swimming trunks knowing that people were not looking at my unsightly skin. It felt so good. I cannot thank you enough, I would recommend Soratinex to anyone who is reading this. I hope it will change their life, as it has done for me. Ali Waring, 56, a part-time teacher from Romsey, Hampshire. I’ve had psoriasis on my knees and elbows since I was 22. I can’t believe I’ve just written that number. That means I’ve now had it for 34 years. I can’t believe that number either. Over the years, I’ve tried Dead Sea salt baths, emollient creams, E45, baby creams, vitamin creams, steroid creams, butters, oils, gels, acupuncture, Chinese herbs, dietary changes etc but the psoriasis would change almost hourly and even cool water was dehydrating for it. It continued to produce constantly-changing dry, flaky scales. It has never itched but sometimes in a dry winter it has cracked or bled. I learned to deflect the comments, the concern, the looks, and carried on applying the latest cream I’d bought. I had pedicures instead of manicures. I consulted a nutritionist, then a well-respected homeopath, then another dietician. I’ve had acupuncture in my toes, vitamin drops, blood tests, stool tests. I’ve eaten lots of grapefruit and tomatoes. I’ve saved up for sunny holidays. I discovered Lush Dream Cream which was mild, soothing, silky and vaguely vanilla-smelling, but of course, no cure. I started the menopause and noticed a few small pink blisters on the fingers of my left hand. To my dismay, my GP diagnosed psoriasis there too and prescribed Dovonex, a steroid cream. I visited a traditional Chinese medicine practitioner for weekly acupuncture sessions for 18 months. I changed my diet drastically - cut out alcohol, chocolate, dairy, whole grains, oranges, amongst many other things. 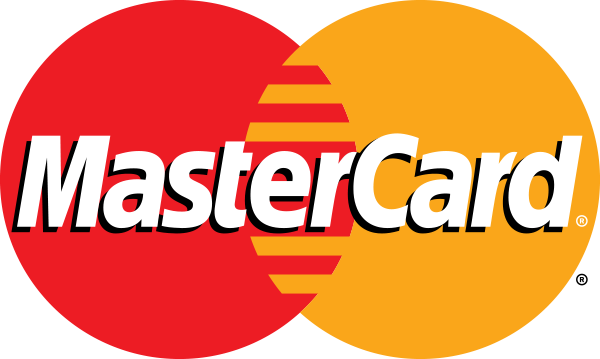 I wrote her many cheques. The psoriasis got very slightly better. I decided to stop going to her and I continued with Lush Dream Cream only. Then I read an article in The Times about various skin problems including psoriasis, which included a reference to Soratinex. The article mentioned a trial which had had very good rates of success. I discovered more reviews. I ordered the three products from the website: gel, cream and oil. They were simple to incorporate into my daily routine and they smelled OK. I waited. Then after a couple of weeks, I started to notice a difference. I hugged the thought to myself for a few days, not daring to want to believe the results I was beginning to see. My husband noticed the difference too. I carried on applying the creams. The flakiness subsided. The new skin on my fingers, elbows and knees was pink and healthy. That was six months ago. 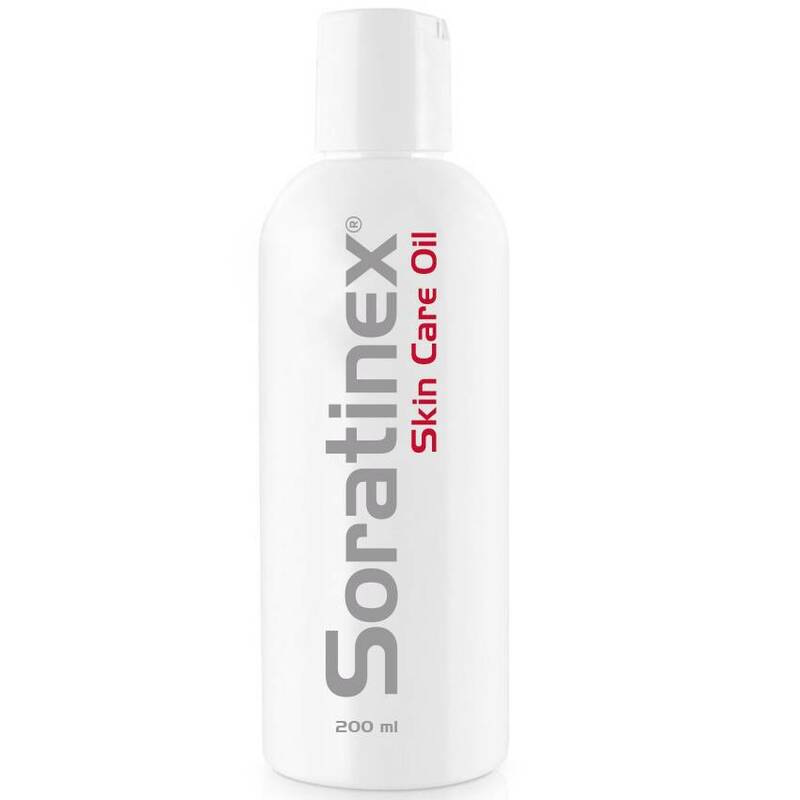 My knees are now 99 per cent clear, my elbows and hands about 75 per cent, so I’m really pleased and now just use the Soratinex cream and oil when I need to. I suffered from severe plaque psoriasis for more than 30 years before Soratinex cleared it up – 100 per cent - within six weeks. I feel like I’ve been in a nightmare and have just woken up. I had it on my knees, elbows, lower back, buttocks and the top of my thighs. I’d say it covered 35-40 per cent of my body. I used to have to take three shirts to work every day because it would itch and inevitably I would scratch it and it would bleed. It was terribly embarrassing. I wouldn’t dream of wearing shorts or short-sleeved shirts. I couldn’t even travel far in the car because the plaques on my buttocks would split and bleed and it would become too painful. Over the years, I tried everything to clear it up. All the usual steroid creams, three lots of light treatment, whatever a succession of specialists told me to try – except Methotrexate. I turned that down because I didn’t like the sound of the side-effects. I even had trips to the Dead Sea, but nothing really worked. I thought this was it. I would be like this forever. Then last November  I read about Soratinex in The Times. I was very sceptical at first and I thought it seemed expensive but I decided to give it a try. I began to see a big difference within three days. I couldn’t believe it but it just kept getting better and better. The plaques reduced in size and then disappeared and now even the scars are going. My skin is amazing and the psoriasis has completely gone. It is nine months since I bought my first set of Soratinex and I am on my second set but have two-thirds of it left, so I no longer consider it to be expensive – especially after what it has done for me. My wife, Annette, is so happy for me and I’m just delighted. There was a time I never would have dreamt of putting on swimming shorts and going anywhere near a pool, but a couple of weeks ago we went to Bulgaria and I did just that. Derrick Singleton, 72, a retired hotelier from Torbay, Devon. The stress of taking my higher national exams first brought on my psoriasis. I was just 18 and I’ve had symptoms all my life – at least, I did have until nine months ago when I discovered Soratinex. I had round plaques pretty much everywhere, my arms, legs, elbows, scalp and – mostly – my torso. I found it very embarrassing and would avoid taking my clothes off in front of other people where possible. I even got changed on my own to play football. I think the worst part of it was leaving behind dry skin wherever I went, like a trail of dandruff. That, and constantly having to explain to people that, no, I hadn’t fallen over and hurt myself; I just had psoriasis. Over the years I tried everything. All the usual greasy steroid creams like Betnovate, scalp lotions and, twice, light treatment, which got rid of it but only for a short while. I think I had come to accept that it would be with me forever. Then I read about Soratinex and was impressed by what other sufferers were saying about it. My first thought was that it seemed a bit expensive but I’ll try anything once and decided to buy a large set. Before I had used half of it, in about a month and a half, almost all of my psoriasis had gone away. It really is quite remarkable. All I have left now are two stubborn areas on my torso, but they’re getting smaller and I’m expecting them to disappear soon too. I bought it nine months ago and I still have some of the gel, cream and oil left, so when you look at it like that, it doesn’t seem expensive at all. My wife, Lesley, is absolutely delighted for me. I have told my GP and consultant dermatologist too, because they have also been impressed with the results. I have told other people about Soratinex and they have tried it with similar results. I just want to tell as many people as I can that there is a non-steroid treatment out there that has done something for me that I previously thought impossible. Mr Sritharan Ratnaswamy, aged 61, an accountant from West London. I first had psoriasis about four or five years ago. It is all over my body to a greater or lesser extent – the severity of it seems to come and go and obviously when it is all over I feel pretty miserable. I’ve been prescribed oral and topical medication and feel like I’d tried everything from methotrexate tablets to Epaderm cream and Balneum bath oil to topical steroids including Dovobet and Dovonet, but nothing seemed to have worked. I also had puva treatment – ultraviolet light therapy – a few years ago. When I was given the Soratinex oil, gel and cream as part of the trial, I’d already thought nothing would work, but this did. I put it on twice a day and soon began to see a difference. Now it has gone and I’m hoping it stays that way. Because it was on my arms and legs, I’d been covering up all the time and wearing a tracksuit outside but now I’ve been able to start wearing shorts and short sleeves again, and I feel so much happier. It might not work for everyone, but it has worked for me and I would recommend other sufferers to give it a try. I first developed psoriasis at the front of my scalp in my early fifties but it took two years before I was formally diagnosed. I understand that this isn’t unusual. There were added complications for me because it was linked to another condition called frontal fibrosing alopecia, which meant the worst effects were around my hairline, and this caused it to recede. I also had a 10p coin sized plaque on the back of my hand and while my scalp would periodically improve or deteriorate, that hand plaque was stubborn and just never went away. I used to be in advertising, recruitment and training and so had to attend meetings and deal with clients. In situations like that I would sometimes feel self-conscious about my appearance and worry whether any flakes were there from my scalp. Eventually, I hanged my hairstyle to cover up the psoriasis at my hairline. Other sufferers will recognise this – psoriasis can have a detrimental effect on your confidence. After trying all sorts of topical steroids, I was put on Methotraxate about five years ago. I was on that for about two and a half years, then had a gap, and then was put on it again for about 18 months. Methotraxate is a form of chemotherapy medication although it is given in low doses for psoriasis and is an auto-immune suppressant. It dampened down my psoriasis but it can also leave you vulnerable to illness because it plays with your immune system. Last year, I caught virus after virus and felt so ill that I decided to come off the treatment – and my psoriasis came back in force. Then I read an article in The Times’ health pages about Soratinex and thought I’d give it a go. The results have been absolutely amazing. It is an eight-week treatment but I saw results within a few days – now even the psoriasis on the back of my hand has gone. I would say my psoriasis has cleared up almost completely now and because I am no longer on Methotraxate I feel so much healthier. I am relieved, too, that I’m no longer using steroid creams as they were making my skin thinner and thinner. My husband has noticed a difference in me, too - that I’m feeling happier and healthier. I am determined to tell everyone I can about this treatment in the hope that it will work as well for them as it has for me – and recently I have been able tochange my hairstyle to suit me rather than the psoriasis! I was first diagnosed with psoriasis about 10 years ago. I didn’t have a severe problem at first but it became much worse two years ago and it had a terrible effect on my every day life. It was on my fingers, forearms, both hands, one of my legs from the shin to the kneecap and on the soles of both feet – so there were times when I couldn’t walk. It was very, very painful. I told my doctor I would do whatever it took to clear it up and so I was put on a variety of steroid creams. But you know, and the doctors know, that they don’t really work and they’re bad for our bodies in the long term. I also had oral immuno-suppressants and was offered other medication that I turned down once I saw the potential side-effects. Nothing worked. Then last November  I read an article about Soratinex on the internet and decided to buy some. I was concentrating on the soles of my feet and after about a month it began to have a positive effect. My feet stopped cracking and bleeding and I was able to walk again, which was wonderful. My general health is much better because I can walk and, obviously, that’s a very positive development. Sitting around all day because you can’t walk is not good for you. I continued using Soratinex on the rest of my psoriasis and it has completely cleared. My wife, Nan, is so pleased for me and it is good for me to see her so happy too. A while back I saw an over-the-counter treatment that contains salicylic acid and decided to try it. I stopped using Soratinex but after a few weeks on the new treatment my psoriasis was coming back. I went back on the Soratinex and it cleared up again. I think that tells you all you need to know. This treatment has had a huge effect on my quality of life – thank you! I have had psoriasis for more than 20 years, from my mid-30s, and during that time I have had experience of different kinds and different levels of discomfort, often brought on by stress. I have had it all over my body, on my scalp and in my hair. It has been very unpleasant and upsetting. I have tried not to let it restrict me and the way I live my life, but you can’t help feeling conscious of it if you go to the spa or pool or on holidays, places where your clothes come off. Over the years I have been treated with everything, from light therapy to steroids, which have worried me because I have seen my skin become thinner and thinner. I feel lucky that my skin has never ruptured, but it does look older than it should because of all the steroid use. I have been concerned for some time over the long-term side-effects of steroids but in my experience doctors don’t understand how ghastly psoriasis can be and they tend to just give you steroids over and over again. Then I was told about Soratinex and thought I’d give it a go – at least it didn’t have any steroids in it. The results have been incredible. After just three weeks I saw the most amazing change you could possibly imagine. I had it on my scalp and that has completely cleared up. That is important for me because when it is there, you tend to shed all this scaly stuff, but now that’s gone and I’m almost completely clear everywhere else. I simply could not believe something with so many natural ingredients could have such a positive effect. It has changed my life. Mrs Boyce had psoriasis for more than 10 years, since her early 40s. It was on her elbows, legs and face. ‘It could be very embarrassing,’ she says. ‘I was once asked to leave the swimming pool during an aqua aerobics class because the instructor said I was making other people feel uncomfortable – psoriasis isn’t infectious, it’s an auto-immune condition, but lots of people don’t know that. ‘I had to leave while everyone else just watched me. When I got to the changing rooms I just cried, but more from anger than anything else. Mrs Boyce’s doctor prescribed ‘just about every topical treatment and steroid cream’ available, but nothing worked for long. She was refused UV light treatment because she has fair skin and instead was offered methotraxate – an injectable form of chemotherapy and immune-suppressant with potential side-effects that include hair loss, nausea and tiredness. ‘I turned that down – taking something that required your liver function to be tested every three months sounded a bit scary to me,’ she says. Then she heard about Soratinex and decided to try it. ‘I half-expected it to be useless, just like everything else, but it was life-changing,’ she says. ‘I began to see and feel an improvement in the first two to three days and am now 95 per cent clear. ‘I used to only use dark sheets on my bed because my psoriasis would bleed during the night, and I would never wear short sleeved tops or short skirts – I would rather swelter in long sleeves and trousers. But this summer has been lovely and I’m back in strappy tops and shorts. Mrs Eileen McNeill, 63, a retired teacher from Enniskillen, Northern Ireland. I had mild psoriasis on the scalp since my teenage years. It was scaly and very itchy and my then doctor prescribed the steroid cream Betnovate. It went away but then came back when I was at university and carried on for most of my life on my scalp and behind my ears. Then about 10 years ago it increased in severity and spread to my elbows, arms, lower legs, a couple of patches on my face and quite a lot on my elbows. I didn’t let myself become depressed over it, but it was frustrating cosmetically – I would often wear dark tights instead of skin-coloured and I was always looking for long-sleeved dresses to cover my elbows. I tried everything the doctor gave me as well as everything I could find on the market, but nothing worked. I went privately to see a dermatologist but the course of treatment he prescribed was also ineffective. One doctor told me I’d have it for life, and even though you know the doctor is probably right, it isn’t the sort of thing you want to hear. I was always Googling psoriasis to see if I could find any new treatments and one night in one of the forums of the Psoriasis Association, where people share information about treatments, I saw that one man had left a very short post simply saying Soratinex was brilliant. At first, I was put off by the cost – it was approximately £90 – but I was very drawn to the fact that it did not contain steroids, which is a big plus, and so my husband told me to give it a go. It is in three parts, the gel, cream and oil and you have to have time and patience to carefully follow an eight-week regimen, applying all three twice a day. I did, and within just two weeks I was seeing an obvious improvement. By six weeks it was almost gone and I was thinking about stopping, but FRANKL Pharma customer services had been giving me great advice and support and said I must finish the eight-week course. They were very helpful. I finished the course and it cleared up completely. Even blue-ish marks on my arms from using steroid creams eventually disappeared. I was absolutely delighted and still am – it really is fantastic stuff. I have been clear now for about a year and just use a little bit of the oil on my face and elbows. I tell everyone I can about Soratinex because I’d like them to enjoy the success I’ve had with it. I first got symptoms of psoriasis about five years ago. I only had a small patch on my leg at the start. But then three years ago – December 27 2014 – my daughter, Faye, was killed in a car crash. She was just 34. They say stress can bring psoriasis on, and in my case it did. It spread all way down both my legs below the knee and went to my elbows and the patches grew bigger and bigger. It was red raw and very sore. I stopped wearing skirts or anything short. I even covered up on holiday because you could see people looking and it was very embarrassing. My GP prescribed corticosteroid creams but they didn’t work and so I was eventually referred to a dermatology specialist who prescribed something even stronger. Eventually, I ended up on the Soratinex trial and I’m delighted with the way things are going. As soon as I started using it I felt better. I’d say it’s about 50 per cent better and it’s improving all the time. The patches are still there, but they’re much less inflamed and they feel so much better. I feel much more confident and if the weather was warm enough, I think I’d be able to wear something short again. I’m going to carry on with the treatment and I’ve been recommending it to lots of other psoriasis sufferers. I think it’s fantastic.